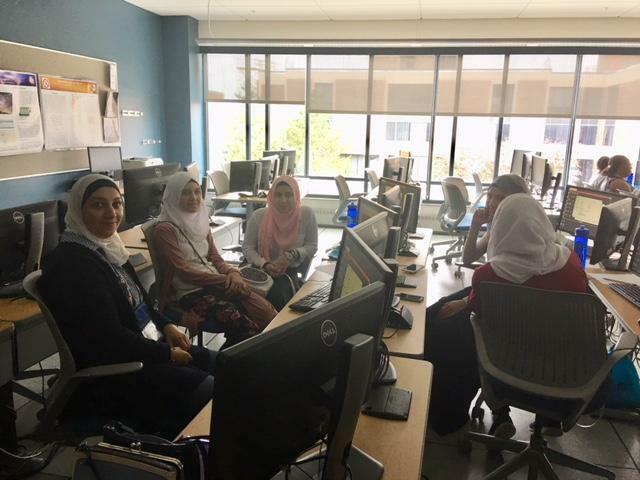 Female immigrant and refugee students attend computer class. The AT&T Coding Your Future runs through August 10th at SUNY Buffalo State. A very diverse group of young women is learning about computer coding over the next two weeks. WBFO's senior reporter Eileen Buckley says it's a program designed for immigrant and refugee students. WBFO's senior reporter Eileen Buckley says it's a program designed for immigrant and refugee students. About 26 teenage girls, speaking five different languages, are enrolled in this coding studies program. 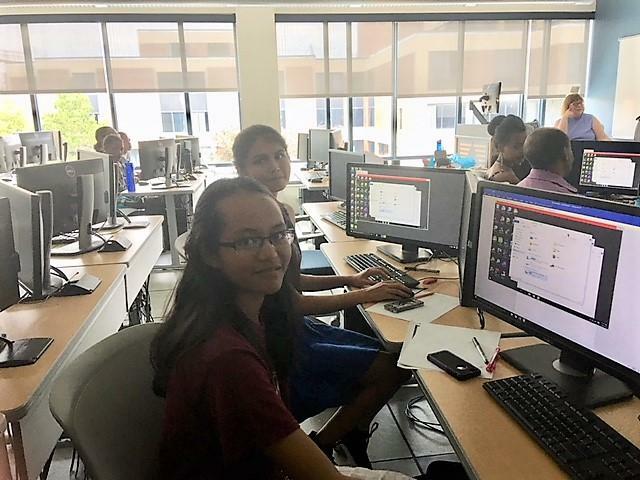 The AT&T Coding Your Future runs through August 10th at SUNY Buffalo State. It's a first of its kind program assisting the teenagers to gain new skills. Eita Nanda & Bina Dahal are enrolled in the two-week computer class. “We know that we are learning the basic of computer programs and where the back bone of what makes it,” explained Eita Nanda. She is from Burma. Nanda has in Buffalo for five years. She’s a graduate of Kenmore West and is headed to Canisius College in this fall to major in biology. Bina Dahal came to Buffalo nine years ago from Nepal. She's now heading into her senior year at Kenmore West and is happy to be learning more about computers. “When I was younger I kind of hated computers – it bothered me, but now I kind of see the value of it – in this world you cannot do anything without computers so I want to learn,” Dahal responded. The morning lessons are about computer coding, teaching the teens about the technology and how to navigate. One of the goals is to continue to close the gender gap in the technology field, encouraging these young women to think about STEM careers. WNY STEM Hub executive director Cherie Messore said they are featuring a female speaker each day. Someone who works in Buffalo, but also came from a different country. 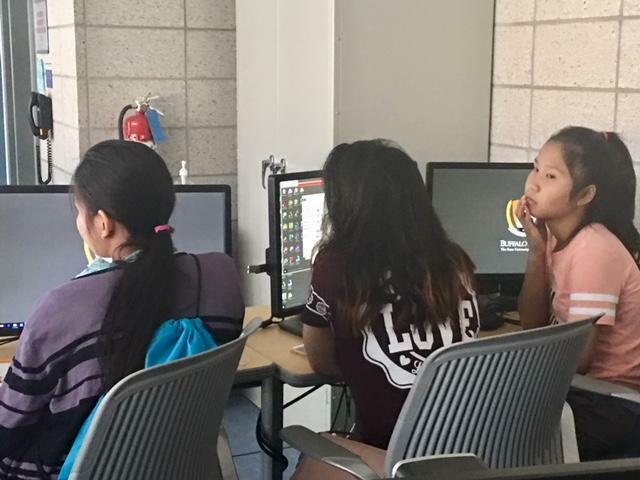 Teenage immigrant and refugee girls attend computer program. “We have a physician, we have an attorney – all not born in the U.S. so they can start to see opportunity for themselves. The end result of the program is going to be a website where the girls can tell their own stories. We are going to introduce these girls to the art of storytelling so they can get some comfort from that and also learn how to tell their own stories. So at the end of the program there will be a website where each girl can tell her own story. This will be a repository that will be a social history, it will be an oral history and it will be a way for girls to feel comfortably in this learning modality using an ancient art in the 21st century scale,” Messore remarked. AT&T is partnering with WNY STEM Hub, Buffalo State, Buffalo Urban League and Journey's End Refugee Services. Journey's End Deputy Director Jeff Ogilvie and AT&T's Kevin Hanna were both on hand to watch the coding class. 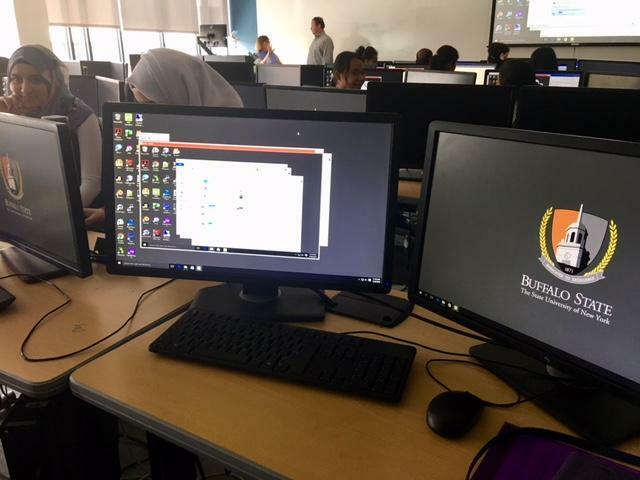 “And they’re here to explore to see if there’s a field within STEM that they’re interested in – specifically this one is for coding,” said Ogilive. 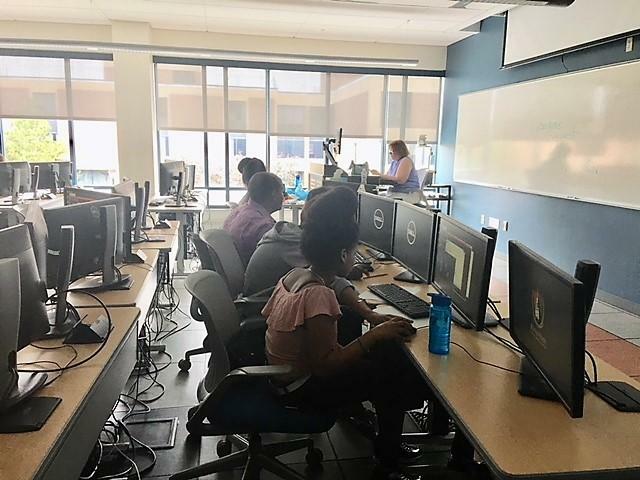 “You know the future is the digital economy and coding is such a big part of that, but it’s not the only part, so this way they will be able to see how this technology, in terms of coding and other STEM technologies, can be applied to their future careers,” Hanna said. Some of these students don't have email address, so this program will assist in gaining access to work on line. A group of students at Amherst Central High School officially trained to become "Upstander Ambassadors". WBFO's senior reporter Eileen Buckley says they will work to combat cyberbullying. WBFO's senior reporter Eileen Buckley says a group of students at Amherst Central High School officially trained to become "Upstander Ambassadors" to combat cyberbullying. A collaboration has brought a WNY Mobile STEAM and Maker Lab to some area schools and after school programs. WBFO's senior reporter Eileen Buckley says students at the Buffalo Academy of Science were the first school to try out the program. WBFO's senior reporter Eileen Buckley reports on a WNY Mobile STEAM and Maker Lab to some area schools and after school programs.